After a long hiatus, I am back to share with you another of my favourite product. It is not a new product but I still want to do a review as it will benefit some of you who have oily skin. This bottle of Clinique Dramatically Different Moisturising Gel (DDMG) has been my companion for the last 4 months. Now it is almost empty. 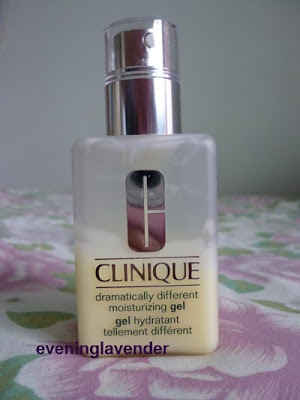 I use this moisturiser during the day time after using Clinique Repairwear Laser Focus serum. The gel texture is not oily and fast absorbing. This moisturiser is definitely a keeper. Happy 55th Independence Day to Malaysia!